The following is a testimony from Anne Soh, an advocate of GOV and a dear friend. Anne had the privilege of spending time in the UK with her family and was able to use our Culture Shock curriculum with a group of youth there. 1. How easy it was to involve local leaders – The youth group leaders could pick up and implement the curriculum just by reading and following the instructions in the Leader’s Guide. 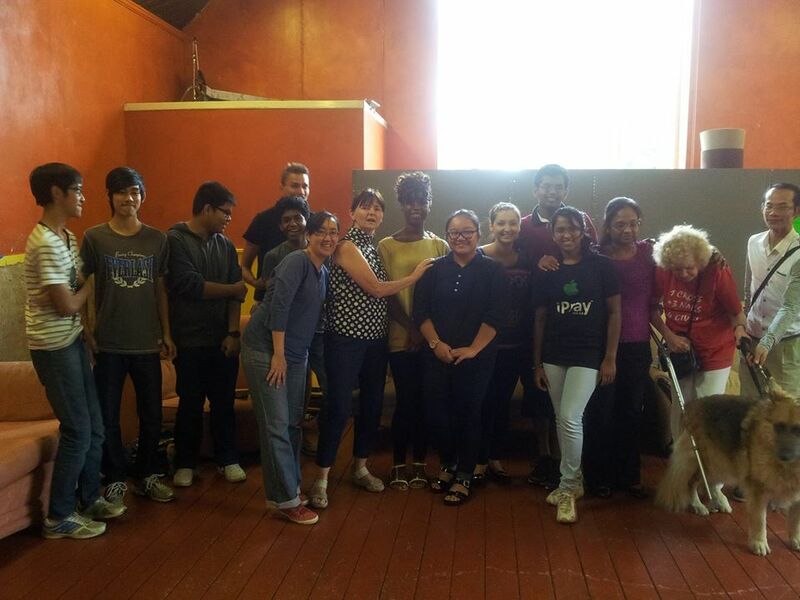 We also managed to get some of the youth involved by helping to lead a few of the activities. 2. The openness and depth of the sharing, and the youth’s growth over time – Because we had the time to talk through/after every activity, the youth got to discuss the questions in the book and more. So they could share their own stories, the struggles they faced, and brainstorm strategies to overcome temptations. One of them even gained the courage (and obviously a boost to her self-image) to share publicly about how she had overcome an eating disorder. 3. Relationships were built and strengthened – As we spent time together sharing, laughing, praying and crying, we got to know and trust each other more. Along the way, the youth were able to approach the leaders with personal problems to ask for advice and prayer. 4. Partnership with parents and the church was also made possible – info sheets (adapted from the Leader’s Guide) were given to the parents after each topic so they could follow up at home. We also picked some of the youth to share what they had learnt and/or present their skits during the main service so the congregation was made aware and could actively pray for the youth. 5. God’s presence and divine intervention continually amazed us – During the dart board activity, I could see the dramatic change in the looks on their faces when I revealed that it was Jesus’ face they had pierced. The Holy Spirit spoke to many of them through this and other activities according to their individual and specific needs. For instance, when we told the story of the guy who got 3 wishes on the night before leaving for college (in the last topic), 2 of the youth were also going off to university in the coming week. God spoke to them in a way that wouldn’t have been possible at any other time. 1. Even social media can be staged – Often we expect advertisers to use things like photoshop, perfect lighting, etc. to make their models look stunning. We realize this and we’re prepared for it. But it’s harder to wrap our minds around social media that’s been altered. Think about it – when you take a selfie, do you adjust the angle at which you’re holding your phone so you look better? We all do. But we don’t always stop and think that maybe our friend has 11 other shots on her camera roll that are not as flattering as the one she just posted. We often scroll quickly through our feeds, see how great everyone looks, and never stop to wonder why we all of the sudden feel so fat and ugly. What I appreciate about Essena O’Neill is she explains some of the tricks she used to get the images she posted, thereby exposing the fact that social media is not always as spontaneous and natural as we assume it is. 2. There’s no such thing as a free meal – This is a true statement, even in social media. If you look at a picture of a celebrity/friend and think more about the clothing he or she is wearing, the thing being eaten, the makeup used, etc., that person might have been paid to take that picture. In Essena’s opinion, this is fine in and of itself, as long as the person tells you he or she is advertising something. I think this is good food for thought when you talk to your kids. No one wants to be deceived, and kids especially need to know when their emotions are being manipulated to make someone else money. That’s only fair. 3. 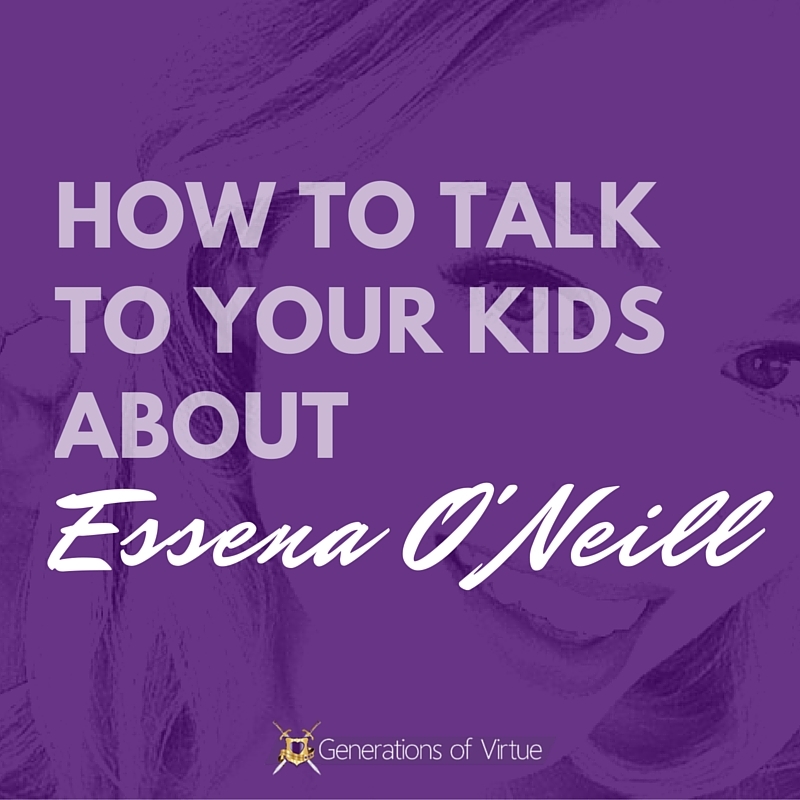 You are responsible for the content you post and share – One thing I appreciate about Essena is that she realizes she is responsible for the effect her posts have on other people. And because she realizes this, she wants to start posting honest things. Kids need to know that even if they are just sharing something created by another person, they are still responsible (at least on a small scale) for the effect that post will have on their friends. Which gives them incentive to share positive things instead of negative things. I am friends with a lot of people who are younger than me on my social media networks (the consequence of speaking to so many youth over several years!). I’m really careful about what I post because I don’t want them to see something I share and get the wrong impression. Here’s a practical example: I live in Colorado. The sheer amount of funny memes that have circulated over the past few years about legalizing marijuana are enough to choke an elephant. I think some of them are really funny, but I don’t think smoking marijuana is a good idea. Hence, I haven’t shared any of the marijuana memes. I just don’t want to risk it being taken the wrong way. The bottom line when guiding your tweens and teens toward healthy social media use is to communicate that social media is what we make it. We can be honest in the things we post, we can consider others before we post, and we can choose what to view. There are several advantages to social media. However, if we don’t discern the messages coming at us (whether they be from a friend or acquaintance or even an advertisement), we are in danger of allowing social media to have more control over us than we do it. It’s a good rule of thumb for anyone – adults included!